In order to make ordering medications easier we have now added online ordering as part of our services! Medication, Flea/Tick/Heartworm prevention and prescription food available. Shipped directly to your home, authorized and monitored by our doctors, no need to wait for a third party to contact our office for approval. The Veterinary Clinic of East Hampton is a full service veterinary hospital located within the sprawling campus of The Ross School. 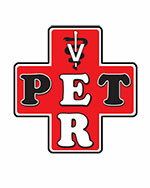 Our mission is to provide excellent, compassionate medical care while focusing on the special bond between pet and owner. Our goal is to help maintain and prolong good health and quality of life for all of our patients. Our clinic offers a wide range of services including routine care, surgery and dentistry, diagnostic imaging, and veterinary acupuncture. Our experienced veterinarians, along with our licensed veterinary technicians and trained veterinary assistants, are committed to giving professional, loving care to your pet. ~ Do you have a nervous pet? Visit our Fear Free Practices page to learn how to help alleviate your pet's stress. ~ Traveling with your pet? Click here to visit our Health Certificates page to find out what you need to do before scheduling your pet's travel exam.